It’s a great pleasure to welcome England Athletics Physio and Medical Lead Stuart Butler to the blog today. 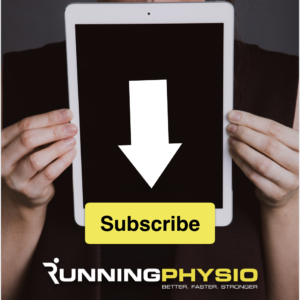 He’s kindly written us a great overview of hamstring injury management based on his extensive experience, recent research and learning from the leading hamstring injury specialists on his travels. Follow Stuart on Twitter via @physiobutler. For more on running injury rehab join us on Running Repairs on one of our upcoming courses. 15 years in track and field has resulted in an unhealthy obsession with Hamstring Injuries (HSI), and unfortunately I have had plenty of experience in dealing with them. I’ve been incredibly fortunate to travel internationally with athletics and a recent trip to Australia for the Commonwealth Games allowed me to meet and discuss HSI’s with some of the very best minds in the game, so here’s where I’m presently at with HSI in 2018. I’ll briefly review diagnosis and contraction type before discussing key principles for treatment. Diagnosis: We know that bicep femoris is most often injured and that rates of injury are increasing (Ekstrand et al, 2016) or maybe plateauing (AFL / Cricket Data) and if we look closely we can see that recurrence rate in AFL are decreasing. Much of the debate presently on HSI centres on the role of the central tendon (predominately long head of biceps femoris). Pollock et al (2014) suggest that injury to the tendon results in higher recurrence rate and an increased rehabilitation period. Rod Whiteley (@rodwhiteley) and Nicol Van Dyk (@nicolvandyk) and colleagues at Aspetar suggest that injury to the tendon does not influence rehabilitation timeframes. I’m happy to point out that both rely on an MRI diagnosis, and that this may not available to all, but we should be aware that we’re comparing to vastly different cohorts. Aspetar’s data is based on Qatar Footballers averaging 6-7m/s running Vs British Athletics sprinters going 10-11 m/s. Increased speed increases the load on biceps femoris long head and that’s why I think that the faster you’re going the more important the tendon is in helping produce ‘stiffness’ thru the posterior chain. Take Home: Tendon is more important the faster you run, central and high Hamstring pain post injury should result in a more cautious rehabilitation programme. Eccentric Vs Isometric: This debate continues but I’ll leave you to read the two schools of thought, but I’d give credit to both parties for putting the discussion into the literature. Think Chris Pollard (@chriswpollard) at ACU got some interesting research coming out later this year but I’d probably suggest we’d use elements of both eccentric and isometric exercises post HSI. And the isometric side of the debate from Van Hooren and Bosch (2018) also *Open Access* and an image from the article (below) examining force-length-velocity relationship. Long and Strong: We’re not talking flexibility (although Asklings ASLR can prove a key part of assessment) but fascicle length. Ryan Timmins (Timmins et al, 2015) excellent worked shows that using ultrasound assessment we can view and calculate individual fascicle length, and that a loss of fascicle length (<10cm) can be a pre-disposer / consequence of HSI. ‘Strong’ refers to the use of the Nord board (or similar) data to assess Hamstring strength whilst undertaking a Nordic Hamstring Exercise (NHE). A score above 400 appears to out athletes into a ‘safer’ zone, although Ryan (@ryan_timmins) was keen to state that athletes appear to have a ceiling and won’t continue to progress. ‘Escaping the quadrant of doom’ (see image below) is a phrase often used ie: don’t have weak, short fascicles to decrease the risk of HSI. Tony Shields (@das_shield) has suggested that ‘strength’ may be more important in those with a previous history, and Nord Board data can be used as a target unless an athlete is particularly weak to start with. Clinically these strength readings may be used as markers to monitor an athletes health, I’d also throw in handheld dynamometry (Prone hamstring curl at 30 degrees knee flexion) as a useful tool when monitoring an athlete’s fatigue / strength values and in trying to develop those muscles that help protect the hamstrings – Adductor Magnus, Obliques and Glute max (Handsfield et al, 2016). Take home: (if available) fascicle length >10cm and Nordbord score above 400. Consider ‘monitoring’ of hamstring strength / fatigue and strengthen previously injured athletes and the supporting musculature. Load Eccentrically: Continuing on from fascicle length, the best modality to increase fascicle length (and strength) appears to be eccentric exercise with much of the research focussing on the Nordic. The NHE comes in for a lot of criticism (not functional and increased soreness) but it has good evidence as an injury prevention tool (Petersen et al, 2011) and as a means of increasing fascicle length (Preseland et al, 2018). With careful programming (usually after speed sessions), and a period of familiarisation it’s possible to implement successfully. Matt Bourne’s (@mattbourne5) excellent work on hip and knee biased exercises also provided useful insight into selective recruitment and is worth a read. Take home: Careful planning should allow for eccentric loading, as part of an athlete’s bigger plan, probably with a mixture of hip and knee biased exercises. Load Early: Thank you to Jack Hickey (@jackhickey89) who’s recent work that recently showed something I’ve believed in for years. His accelerated rehabilitation program had early progressive eccentric load in acute HSI. Although timeframes for rehabilitation were similar, the early eccentric group developed greater strength and fascicle length. Please read Hickey et al. (2017) for details. Take home: Don’t be frighten to load eccentrially early, I’ll often use double leg exercises (ie: long lever bridging) with eccentric action and a bias to uninjured leg just to get some eccentric stimulus to posterior chain. Load Often: Hamstrings like to be loaded eccentrically and this appears to help maintain strength and fascicle length. This needs to be part of a ‘total’ conditioning program that involves good communication between all parties (athlete, coach, S&C, etc). Presland et al’s (@joelpresland) showed 6 weeks of both low and high volume training with NHE increased fascicle length to very similar levels but perhaps most importantly a two week follow up post cessation of NHE showed that fascicle length had returned to near pre-intervention levels. Take home: After 2 weeks High volume as little as 2 sets of 4 reps twice weekly of NHE can increase Fascicle length, but an eccentric stimulus needs to be maintained. Run Fast (often): The best training for running fast is running fast! I’m from a track and field background and have to admit these athletes are different to the rugby / football players with their repeated sprints and cutting and change of direction but I’ll always argue that the ‘F1’ car tech will often guide our daily cars. Usain Bolt’s World Record 100m record averages >37kpm with a top speed at >44kpm. Some of the Aussie rules data suggests expose to running fast = 24kph with tip speeds of 32kpm so we may be comparing slightly different machines but we can equally learn from each other. Steven Duihg (@Duhigs) work showed AFL players who had a rapid increase in their 2 year high speed running average were at an increased risk of HSI. Peter Blanch was brilliant in pointing out that athletes that are under-cooked in terms of exposure to High Speed Running are those exceeding their capabilities. In rehab we need to be very careful, taking into account all the tissue healing times, fatigue, athlete beliefs etc, but they need exposure to running fast. In AFL that’s about 300-400m per week in training. He also showed some really interesting kinematic data showing top speed at 34kph being 100% effort but only a small drop in speed (30 kph) dropped the data to 77%, implying that we really do need to reach top speed in training / conditioning. Josh Ruddy (@joshua_ruddy) and colleagues will suggest we need to be careful that we don’t ‘spike’ the running load, their work suggested a spike in running volume in AFL players could be a precursor to injury. Jurdan Mendigutxia’s paper suggests a rehab running algorithm and also has presented some interesting data suggesting that resisted running (ie: sled pulls) and free sprinting also increased fascicle length and sprint performance. Next articleGluteal tendinopathy, are psychological factors more important than strength? Really nice work here Tom (& Stuart). After they safely complete this, they are cleared to progress to the field (next day) where they do much longer high speed runs. I feel that the biggest exercise stimulus our guys get is the running, but we also do exercises. Track and Field is definitely different to football where you can possibly “hold back” if need be, but I think the onus is now on the T&F guys (and others) to prove that tendon involvement is associated with longer RTP when you blind the treating physio to the MRI as we did. Until then, we can’t say if it’s the tendon that caused the delay, or if it’s the physio who is scared because of the MRI and slows down rehab. It may be of interest to know that we’ve had a few track guys through the same programme (100m, 200m, and 400m) and we haven’t modified anything for them, and they’ve had similar results. Again, thanks for sharing the post. Hi Rod. Thanks for the feedback. Aspetar and AFL cohorts are definitely different from track and field, but again they can always learn from each other and have different running demands. The track athletes will never hit 1000m of high speed running in a session so that’s an interesting point. I’d love the idea of blinding the physio, but when we historically go back and look at the data, those tendon injuries have a massively higher re-injury rate (especially in the first 6-8 weeks). Do you have any re-injury data on your track and field athletes??? Also, with elite sport it’s difficult not to MRI (another debate I know), and I’d very much like to have a staged progressive rehab algorithm / plan with set goals / targets, but because of the multi-factorial nature of HSI its difficult to set the ‘goal posts’. Yourself and others are doing some great research which helps to guide those in the field and platforms like this enable us to share thoughts / ideas / research.